Figures from the International Organisation of Vine and Wine (OIV) show that 2018 was a record-breaking year for global wine production. While 2017 was disappointing, with a small production due to adverse weather conditions, last year recovered to produce 293 million hectolitres globally. Europe remains the biggest producer by a long way. The continent was responsible for the production of almost 70% of the total amount produced in 2018. Why was 2018 a good year for wine harvests? The world’s wine production increased to almost 293 million hectolitres last year. This is the biggest wine harvest since 2004, showing a large increase of almost 43 million hectolitres from 2017. However, it should be remembered that the extreme weather in 2017 led to the smallest wine harvest for two decades. 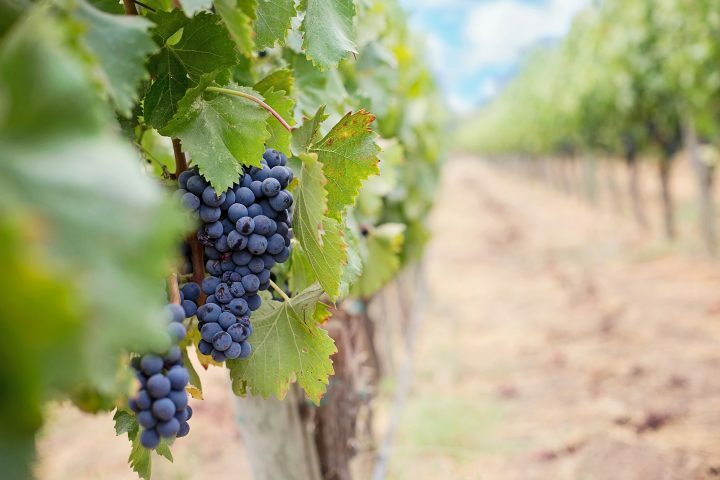 The bounce-back for 2018 was helped by the global vineyard surface area remaining the same size at 7.4 million hectares. More favourable weather conditions for growing also contributed to the increase in global wine production. The biggest wine producers are still France, Italy and Spain who all increased their wine harvest production by around 24%. Most other European countries produced significantly more than in 2017 as well. The European Union (EU) produced 62% of the total in 2018, which is equal to 181.9 million hectolitres. However, the EU’s share is declining due to its more restrictive regulations making it trickier to plant new vineyards. Outside of Europe, key wine producing countries include Australia, Chile, Argentina and America. Around 22% of the world’s wine production comes from these New World countries. Other significant countries for wine production growth include China, Mexico and New Zealand. China is now the second largest grower of grapes in the world but doesn’t produce much wine in relative terms. Mexico increased its vineyards space to 34000 hectares, which is approximately the same size as Champagne in France. How much wine is drunk every year? The global consumption of wine is estimated at about 246 million hectolitres. This has been relatively stable since 2009 after a period of intense year-on-year growth. The US is the largest market for wine and has been since 2011 at 33 million hectolitres consumed. China is the fifth largest wine market in the world at 18 million hectolitres, which marks a decrease of more than 6.5%. While consumption of wine in China has been rapidly increasing since 2000, last year represents a decline. Whether this is a temporary decline, or the beginning of a dramatic slide in wine consumption remains to be seen. We’re fast approaching the Easter celebrations, which for many includes a big family meal. And whether you’re serving traditional lamb, or something different, choosing the best wines to match can be daunting. Easter meals generally differ from Christmas roasts because they feature lighter meats. Lamb is the traditional meat to serve, but honey-roast ham, roast chicken or a vegetarian alternative are just as popular. With lots of bright, fresh spring veggies on the side, it can feel tricky to select the best seasonal wine to please everyone. Here are some choices for Easter wines that should suit just about anything that’s on the table. It’s always a good idea to start your celebrations with a bottle of fizz. A sparkling rosé, such as Schramsberg Brut Rosé is a popular choice. It’s packed with fruity flavours, which are nicely balanced by the acidity. If you’re feeling really fancy, you could match it with caviar canapes for a delicious pairing. Another excellent aperitif choice is Ca’del Bosco Cuvée Prestige, although it’s accessible enough to quaff throughout the meal as well. It’s really bright and crisp, with a hint of nuts. It’s from the Franciacorta region of Italy, which is renowned for its high-quality, delicious sparklers. It tastes like spring on your tongue and will liven up any Easter celebration. An all-round people pleaser, you could always choose a nice, easy rosé like Liquid Farm Vogelzang Vineyard. It’s a very enjoyable wine that sits on the palate nicely with a nice bright, crisp, fruity flavour. Ideal for anything you have on your menu. For many people, lamb goes with Easter like turkey does with Christmas. It’s a traditional Easter favourite in the UK, and across the pond in the US too. The natural wine pairing for roast lamb is a lovely, rich red. But which red you should choose can depend on how you cook your lamb, and which cut of meat you opt for. If you’re serving young, spring lamb for Easter, and planning on dishing it up pink rather than well-done, then you need a wine that won’t drown the delicate flavour. Avoid rich-bodied reds then and go for a Pinot Noir from a cool climate. Think Victoria, Australia or something from Chile, Burgundy or Germany. For lamb served medium or well-done, you need something richer. This is the most common and popular way to cook roast lamb, and it goes well with a spicy, oaky Cabernet Sauvignon. You can find a good Cab Sauv/Merlot blend from lots of different regions, although Bordeaux remains a classic choice. Alternatively, a good quality Rioja Reserva also goes well with lamb cooked in this way. A wine collection has the industry fascinated as it sold for a huge amount recently. The wine collection consists of 16,889 bottles and sold for a record-breaking £23 million at a Sotheby’s auction in Hong Kong. To make it even more mysterious, the collector is known only as the ‘Transcendent Collector’, and no-one is sure of their identity. The high-end wine collection was originally predicted by Sotheby’s to reach a total of £19.9million. This would have set a new world sales record for a collection owned by a single owner. During the three-day sale, the total burst through this estimate and ended up at a truly impressive £23 million. Sotheby’s describe the collection as on “a scale the like of which has never seen before”. It includes grand cru Burgundies, a large set of Dom Perignon champagnes going back to 1926 and Krug vintages going back six decades. The auction also hosted more than 275 lots of the most sought-after Burgundy, Domaine de la Romanee Conti. There were vintages of this wine going back five decades. In 2018, one of this vineyard’s bottles broke its own record when a single one was sold for £426,000 in a New York auction. According to Sotheby’s there were also sales of La Mission Haut-Brion 1945 Bordeaux, and several bottles of Chateau Lafite 1962. Around 600 lots of Dimoane Coche-Dury also sold, which included Meursalt Perrieres bottled between 1982 and 2014. However, Sotheby’s also declined to name the wine collector. The wine catalogue from the auction suggests that the seller is a property developer from Asia, but there is no confirmation. Sales of single-owned wine collections are extremely popular with serious buyers. This is because it’s much easier to establish the provenance of the wines and find out where it was stored. This sort of collection is a rare occurrence in the world of wine auctions. 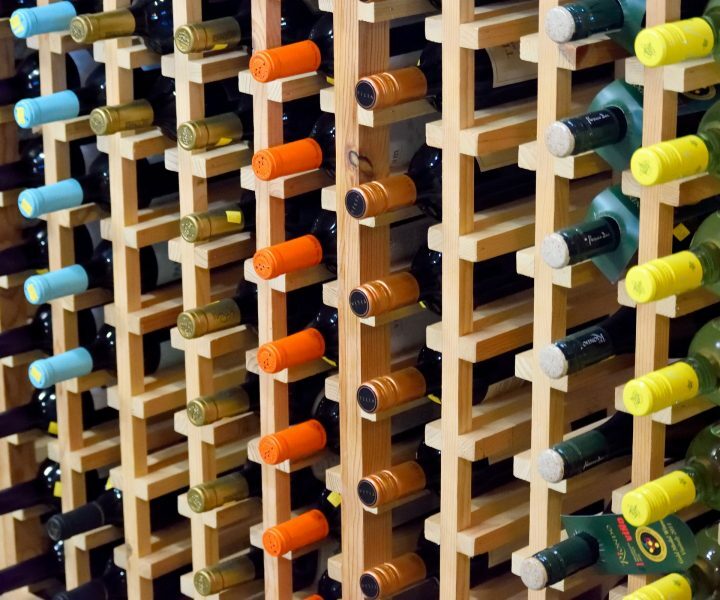 How should you store your wine collection? To some, the idea of a wine cellar is restricted to rich collectors who have centuries old bottles to store. But even if you have a few bottles of wine in your home collection, storing it properly is important. It’s easy to become an accidental wine collector, particularly if you have an eye for a bargain. It just makes sense to buy a few bottles of a wine that’s on offer, for example. Or perhaps you pick up wines when on holiday because they’re not easily available at home. However you amassed your wine collection, don’t make the error of spoiling it by storing incorrectly. To keep wines stored for a decent amount of time, it’s a good idea to have somewhere to store them that maintains a controlled temperature. Humidity levels are also key to storing wine without spoiling it. This is particularly important if you live somewhere humid and warm, where temperatures exceed 21 degrees Celsius for much of the year. With record-breaking spells of hot weather in 2018, and more forecast for this year, this could include parts of the UK. Without somewhere that can store the wine at optimal temperature and humidity, you are in danger of spoiling some of your favourite bottles. Garages, cupboards or warm cellars are out. You could have access to an underground cellar that is unheated and remains cool throughout the year. If you do, then you’re in luck. Check the temperature of your basement, cellar or garage and if it stays below 15.5 degrees Celsius with a humidity of over 75%, then you have what’s called a ‘passive wine cellar’. It’s named for the lack of action needed by you to turn it into a great storage area for wine. Just stash your bottles and leave them. However, this usually only applies to deep underground cellars constructed with thick stone walls, which aren’t available to everyone. 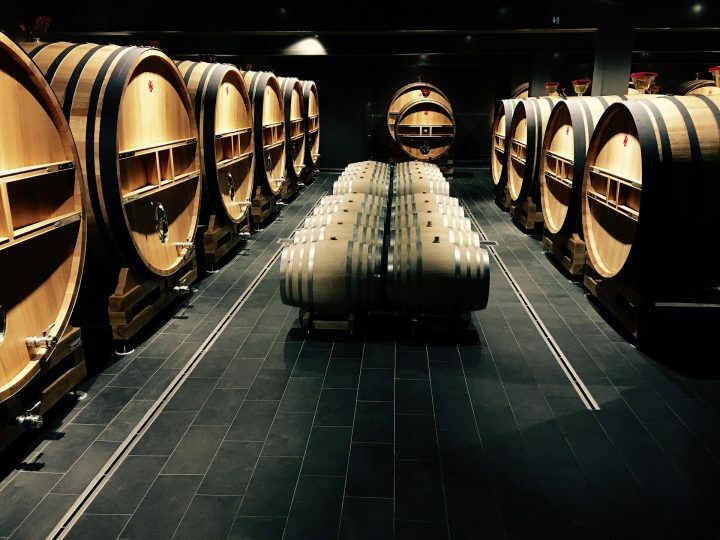 Most collectors set up a room that is cooled and humidified by technology to ensure their wine has somewhere safe to age. storage area must also be humid, with an ideal humidity range of between 70% and 95%. Anything above 95% and you’re inviting mould into your storage area. The storage area should be vibration-free. This means that any noise from outside, such as heavy traffic, or from nearby appliances, can damage your wine. It should also be dark, with no direct sunlight damaging the wine. Think of your collection as a fragile, expensive investment and ensure it’s in a properly insulated and climate-controlled space. If you get overwhelmed when trying to choose the best wine for a special occasion, you’re not alone! The sheer variety available can seem overwhelming, particularly when you’re out to impress. And while we’d always encourage choosing something you enjoy above everything else, there are ways to take the pressure off selecting a bottle for that dinner party or gathering. Look at any wine seller and you’ll find varieties for every season of the year. 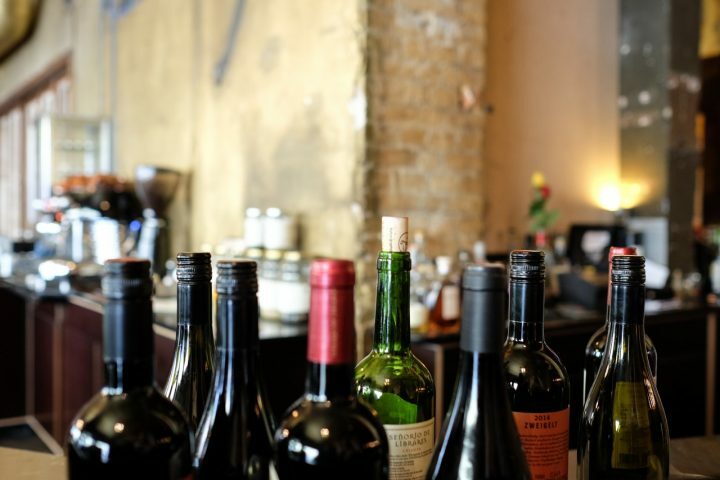 You’ll find wines grouped into categories for lots of different occasions, endless food and wine combinations and at every conceivable price. 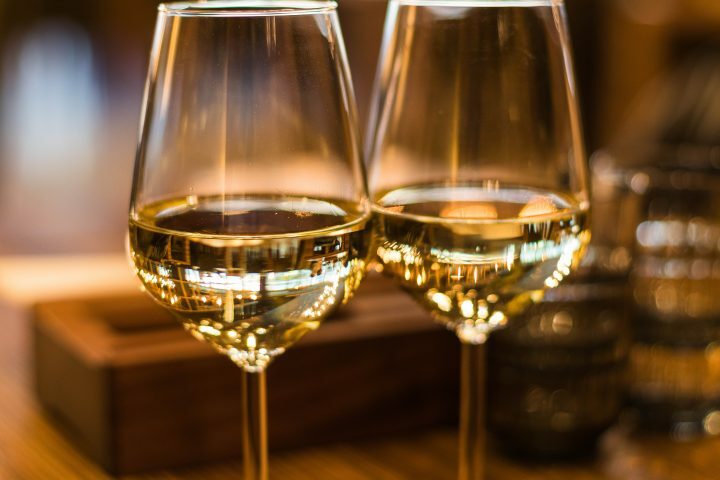 There are white, red, fortified, sweet and rosé wines, and within those you can find light or full-bodied versions, oak-aged wines, very dry wines, very sweet wines, low alcohol versions and wines at 22% proof. With all of this choice, it’s no wonder some people can find it tricky to choose a wine for a special occasion. Let’s have a look at some options that work well. For a wine that hits the right note on your family occasion, whether it’s a birthday or a meal with your in-laws, go for a fruity and sparkling Cremant de Bordeaux. It’s not too pricey and won’t seem over the top but is suitably delicious and ideal for a celebration. If you’re having Sunday dinner, and want something a bit special, then try some French sparkling to go with the traditional red. Choose a Spanish merlot to go with a heavy, rich meat and follow with a light Prosecco to freshen up. It gives even a normal Sunday a bit of added pizzazz. While Champagne is often chosen for a bit of romance, don’t underestimate the power of a deep red as well. For a Valentine’s Day dinner, you can’t go wrong with Champagne and oysters. But if you prefer something spicy, opt for a Plan de Dieu Cotes du Rhone to enhance the meal and spice up your evening. Again, Champagne might seem the obvious choice, but if you want your proposal to stand out from the crowd, go for a vintage red. A French red like Saint Emilion Grand Cru is deep, dark and satisfying, and the vintage flavour says long-term commitment like nothing else. Staying in is the new going out, and a Saturday night in can be much more fun than heading into town. If you like your nights in with friends and a takeaway, then grab a bottle of Chianti to go with it. It’ll add some class to your takeaway and make it feel more like a special feast than a bog-standard pizza.